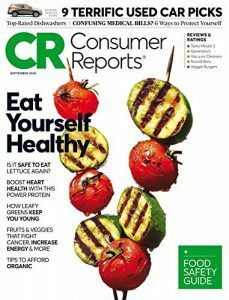 Deal of the Day – Consumer Reports Magazine Just $18.99 for 1 Year at Best Deal Magazines, August 18th Only – A Retail Value of $83.87. Consumer Reports brings you the best products, the best brands, the best services and the best prices! Consumer Reports compares features, sorts through the choices, analyzes the options and reports back to you.